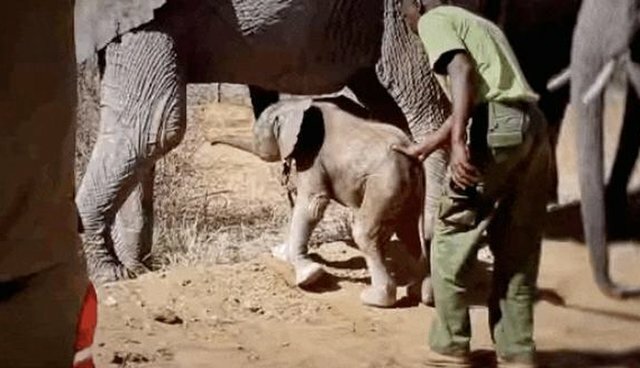 Now, after being raised by the kind people at the David Sheldrick Wildlife Trust (DSWT) Orphan's Project, she has a family. Wendi, who has been living with a herd in Kenya's Tsavo National Parks, arrived earlier this week at DSWT with a surprise: A daughter, just a few hours old. Wendi had brought her baby to visit with the people who, 13 years ago, saved her life. ... and suckle her trunk. ... and go on to live healthy lives in the wild. 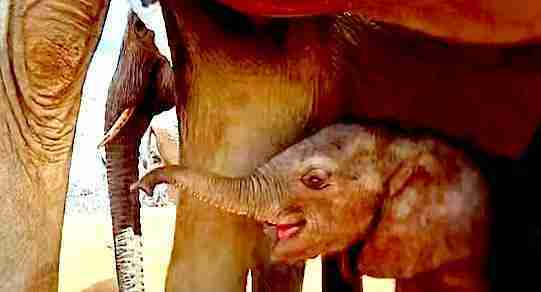 "Wendi surviving was a miracle," DSWT wrote of Wendi's plight. Now she has a tiny - if wobbly - miracle of her own. 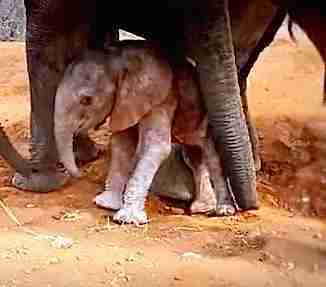 Learn how you can help elephant orphans here.